In 1967, Pasquate “Patsy” Acconcia operated a pizza shop in Youngstown. When he decided to make the move to the present Austintown location he took on a partner, Fernando Riccioni. For the next 20 years Fernando and Patsy worked daily to develop the recipes they are still using today. The dough process begins every morning at 6:00 a.m. and continues through the late morning and early afternoon. Our pizzas are made to order fresh daily with a variety of unique toppings along with our special recipe sauce and our homemade sausage. We don’t do anything fancy…we just do PIZZA! 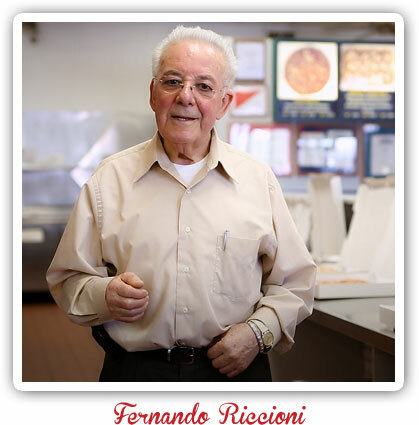 With more than 46 years of experience, we know we can make a pizza to please you! The same tradition is carried on today with Fernando still leading the way with the help of his daughters, Adelina and Filomena. Also, joining the Wedgewood experience are Fernando’s son-in-law, Mike, his grandson Michael, granddaughters Jenna and Gabriella, and his nephew, Rick. Wedgewood truly is a FAMILY!